A compilation of teen works from clubs at the Tivoli library. Have any questions or comments? Leave a comment below! Follow the library on your favourite social media sites! Links to the library's pages are linked above. 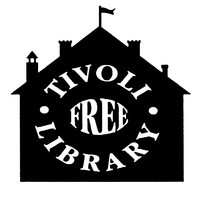 If you live in the area and wish to get involved in a program at the library, send an email to tivoliprograms@gmail.com to let us know what you would like to get involved in!